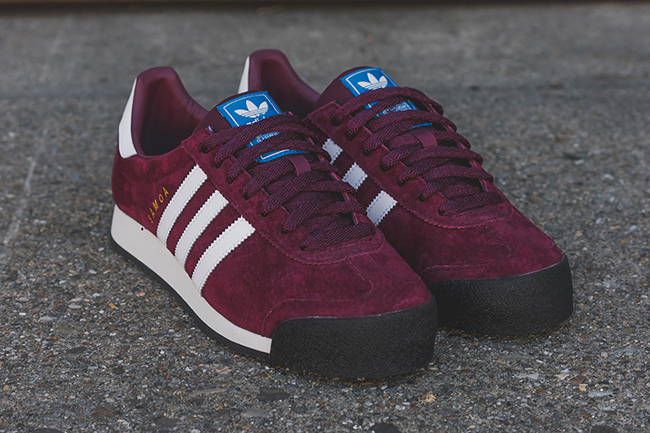 The adidas Samoa is starting to show up in new colors, with the latest having a Fall feel. 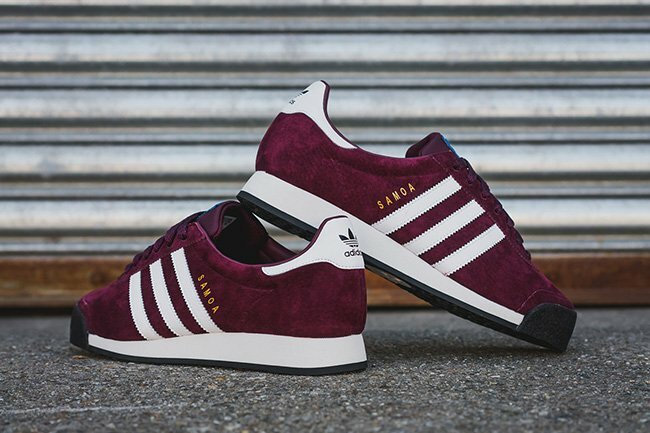 Showcased is the adidas Originals Samoa Vintage that comes in Maroon. 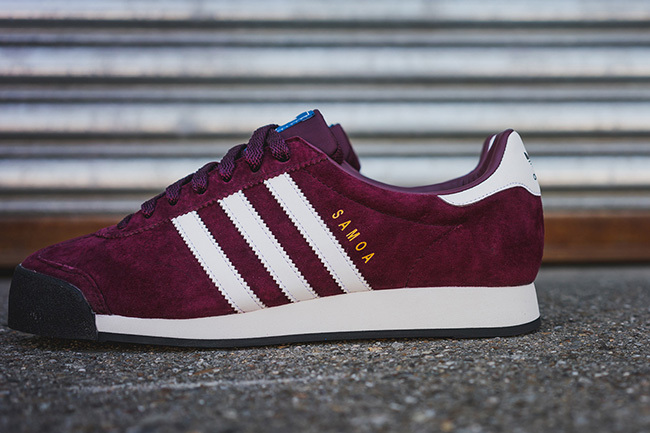 As you can see, this adidas Originals Samoa comes in a clean Maroon, White and Black color scheme. 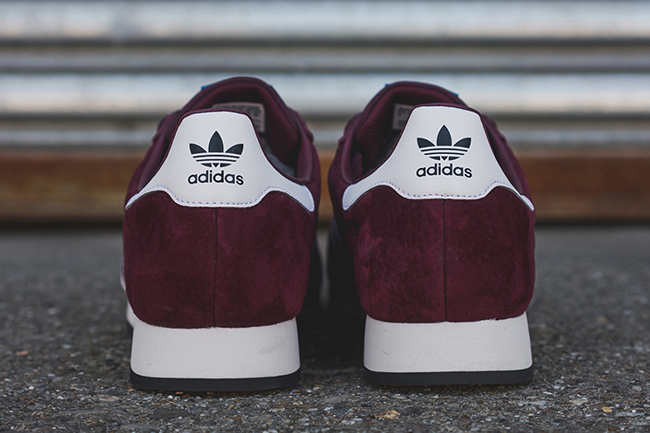 Through the base is the use of Maroon while constructed with suede. 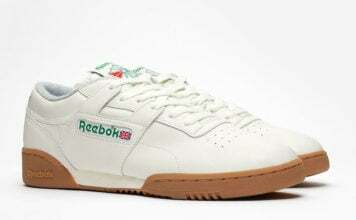 The Three Stripes down the side and on the heel is White leather while the same shade covers the midsole. 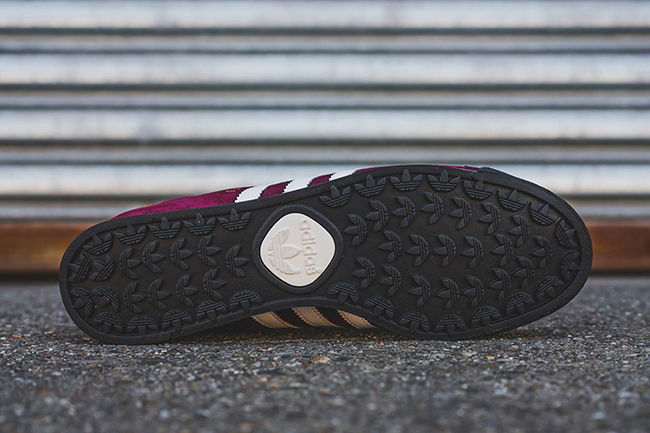 Other details include Black across the outsole and Gold Samoa on t he side. 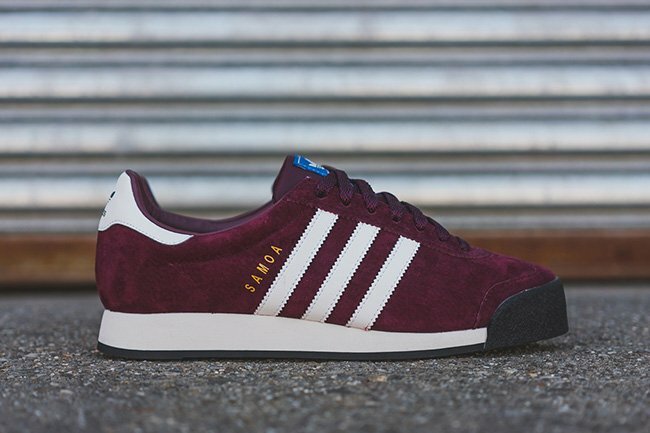 More images of the adidas Originals Samoa Vintage Maroon can be seen by scrolling below giving you a closer look. 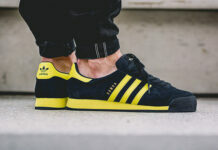 If you made your mind up and want to purchase, they are now starting to land at adidas Originals retail stores which includes Packer Shoes. Retail price is set at $90 and at the time of writing, a full size run is available.